Kids can do some amazing things with their boundless energy and passion - whether it's a Lego creation, athletic feat or an impressive blanket fort. However it's not often that you hear about a child's energies being channelled into the old-fashioned art of crochet. All it took was a gift package of craft supplies to spark something remarkable in 5-year-old Jonah Larson. In just a few weeks he had taught himself to crochet using YouTube video tutorials, and quickly honed his talent, spending up to five hours a day on his hobby. Jonah's book will be released on July 23. 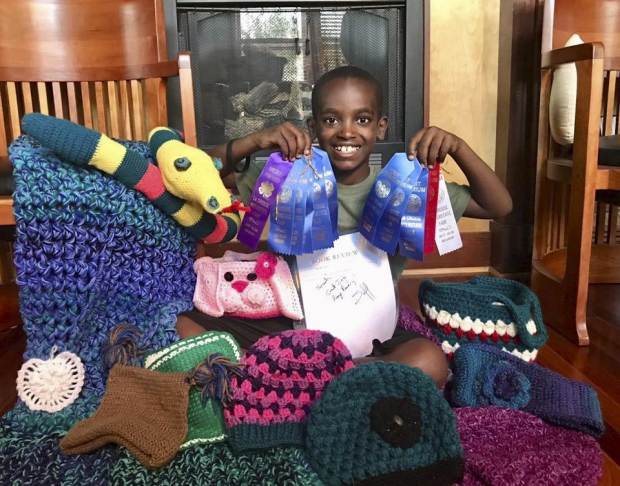 Hailed as a crochet prodigy the now 11-year-old Year 6 Wisconsin student maintains his very own Instagram account, which has over 140,000 followers, YouTube channel and has a burgeoning business, Jonah's Hands. Jonah shows off his crochet prowess on his social media accounts, creating large blankets, scarves, beanies, baskets and toys at an astonishing pace. He is also selling his creations online to help raise money for the Ethopian village where he was born. "I love to crochet because of the calming effects it has," Jonah told People magazine. "Giving back to the community is very important to me." He also crochets with children all over the world via online linkups and is soon to become a published author. His first book Hello Crochet friends! - which was co-authored with his mum Jennifer - will be released near the end of July. 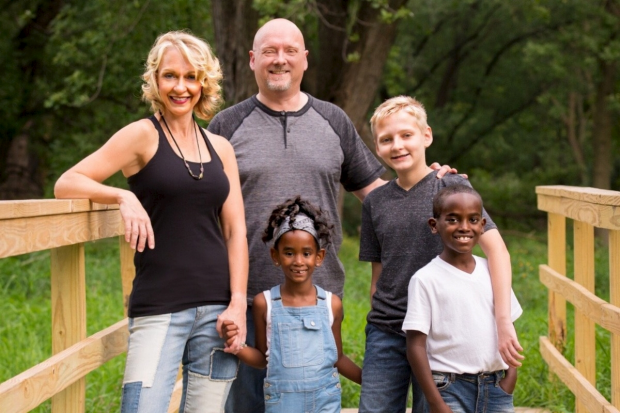 Jonah was adopted from Ethiopia by the Larson family after being left in the woods as a baby. A passerby heard his cries and surrendered him to an orphanage. The youngster is currently raising money to send back to his homeland via GoFundMe. 75 per cent of the $15,00 goal will go to charity Roots Ethiopia, and the remaining 25 per cent will enable Jonah to return to the country for a visit. "Today, I want to hand children in Ethiopia the chance to unlock their own passion and potential," he writes on his GoFundMe page. "The talent and love that came from that gift can now spread across the globe and back to the beautiful country I love so much." He was initially selling his creations but had to close his shop because he became inundated with orders. His mum Jenn told Scary Mommy, "His shop is temporarily closed for business because he's received so many orders, he can't keep up. Over 2000, in fact." That's a lot to keep up with for a boy who says he wants to be a surgeon. The Larson's were initially told that Jonah might have developmental delays because he was so malnourished as a baby, but he's now doing Year 9 maths in Year 6, and well on his way to fulfilling his dreams of doing medicine. Jonah says the crochet his helping him towards his goal. "I'm planning to attend West Point, the academy, and then becoming a surgeon," he explained. "This is kind of helping me prep for that."